You wonder how to create a blog and earn money, don’t you? Then, in this article, you’ll find the instruction how to put your idea into life. Nowadays, the popularity of blogs grows more and more with every day. Many celebrities and other famous people create them. There is nothing weird about it, because the Internet is a perfect opportunity to communicate with large amount of people at the same time, and creating a blog means to realize this possibility. How to create your own blog and big earn money? Is it possible to create it on your own? Is it possible to earn enough money on it? Yes, it’s quite possible and this method has been working for long. Many people earn a lot on their blogs. If you have a desire to make your blog and earn money on it, but you haven’t figured out how to do it, this article will definitely answer some of your questions. How to create a blog in order to earn money on it? Domain and hosting are the essential parts of any blog. Firstly, you have to choose hosting. Hosting is a service of putting the resource on the web server or providing the service of putting another web server on your “platform”. Nowadays, there are plenty of platforms, where you can create a blog free of charge – blogger.com, livejournal.com, wordpress.com and so on. They provide you with a ready-made site, where you may start placing your articles. What concerns hosting, you are not likely to need much power at first, that’s why you may chose the initial tariffs of hosters. They will be enough for the first few months. Speaking about a name, there you are to choose something not very long, out of which a user could understand the content of your site. When you are finished deciding which domain name to take and which hosting to choose, you must choose a runner for a blog. The most important for us is the simplicity and the ability to put various advertisements in order to earn money on a blog. Friendly speaking, it’s very easy to create a blog. One of the simplest, but at the same time not limited in its possibilities, system for a blog is a WordPress runner. It is easily installed in two clicks and it will be possible to start writing almost at once. If you cannot install WordPress on a hosting, look on the Internet some articles, there you’ll find the detailed description how to pass every stage. Fill the created blog with the content. The first two steps are extremely important. But it doesn’t necessarily mean they are the main points. It is one thing to create a personal blog and quite another – to know how to advance and promote it. One of the most important parts in its promotion is filling it with unique content. Content is the whole information from the site – pictures, texts, videos, etc. Moreover, it is very important to preserve the uniqueness of the content. It means that the whole material, which you place in the blog, must not have the exact copy on other sites. You may get the material by rewriting and copywriting. Rewritten text is surely good, because it’s unique. 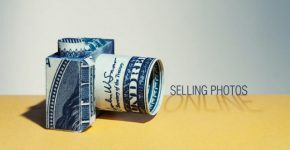 Nevertheless, such content usually have those blogs, which were made as a medium how to earn money in the first place. Besides, if you want to create a qualitative author’s project, you must write the texts, which have never been published before. It’s the uniqueness of the information that attracts other people. It’s important to understand that if the text is unique for the searching systems; it doesn’t mean it’s unique for people. If the idea is not new, the blog is unlikely to win the great popularity. Making an inner blog optimization. The first thing you must do is to pick up the keywords, with which you’ll promote your resource. After you defined the inquiries, you must choose the most relevant pages for each one. Do not optimize one page for many inquiries at once. 1 – 3 will be quite enough. The keywords must be written in the name of the page and its description. Besides, it’s important not to overdo it with the number of keywords in the text. Moreover, if you create a text, which is so crammed with the keywords that the readability of the text is lost, the searching systems will quickly define it and the page will be marked as spam. At the end of every article place the list of the similar articles. It will increase the coherence of the material and increase the number of page reviews as well. The navigation on the site must be simple and comfortable. Every visitor should see how to access the page in 2 – 3 clicks from the main page. Every article is better to be supplied with the icons of social websites, so that the visitors could see how to add those materials they liked to the social bookmarks or other social services. Moreover, you are to create a separate page with your contact information. How to make money on the created blog? Placing the contextual advertisements Google Adsense is the main source of income for the most bloggers. You must try different variants of colour options and ways how to place the block of contextual ads in order to maximize the sum of money you earn. 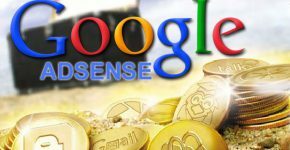 Nevertheless, there are also some alternative programs of Adsense – for example, Chitika, Bidvertiser, Adbrite, but they cannot be compared to the results from Adsense ever. The system of automatic links’ distribution. 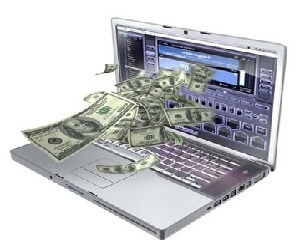 You’ll have a possibility to earn money by the installment of this system on your blog. Links, which are placed in the blog, or inside the articles, or even selling the whole page may help you earn some money. Though selling links is strictly banned by the searching engines, Textlinkads has been working successfully for the last few years. The program doesn’t accept the sites with low traffic or PR. Page rank of the main page must be not less than PR3. Writing articles and reviews using Internet resources. Such as Reviewme, Blogvertise, Sponsoredreviews. They are the three systems, which allow earning money by placing their paid reviews. On this site the newcomers can write only up to 10 posts a month. This resource has the highest payments and the fattest clients. After the increase in the Alexa rating list and after the growth of the inner links’ mass, you will be suggested the most profitable offers of the advertisers. In order to get the applications from $100 per post, your blog must have the rating in the system not less than 4 stars out of 5. One more system, which allows earning money to the bloggers. You may profit from placing posts about the products of different advertisers. If the law arguments arise, the company will help you to solve all law questions. 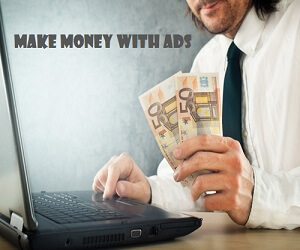 The most comfortable and efficient way how to earn money is to use the system of banner advertising called Buysellads. The main parameters here are PR, the number of the followers in the social websites – Twitter and Facebook, the number of incoming links from Yahoo and the rate in Compete. Besides, Alexa rating is also very important, that’s why you must increase it. Buysellads.com is the absolute leader among such systems. Its alternative is Blogads.com (a system, which uses the famous blogger and society lioness Paris Hilton, which takes $30 000 per week for one advertisement block). The job of this system is in the choice of keywords, which are used to show the ads, and then the system reviews the content of the web-site and underlines all keywords, if there are any in the text. After a visitor holds the mouse over the highlighted word, the new window will open, which contains the advertisement. If the visitor clicks, he goes to the advertiser’s resource. 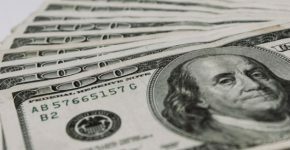 However, you must remember that in order to earn from $50 to $100 per month from a blog, which is written in English, you must have a targeted traffic at least of 1000 unique visitors and the rating of PR3 (in order to start writing reviews). 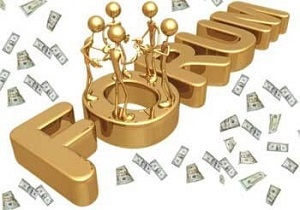 Affiliate programs will pay you for the attraction of the visitors from your blog. This method is profitable to you, if the taken affiliate program is close to the topic of the blog. In this case the ads will look natural and won’t irritate the visitors so much. 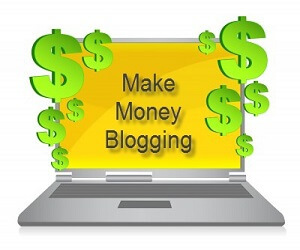 Now you know how to create a blog and earn money. Such work cannot be called an easy one, but it’s pretty interesting and brings much pleasure. Moreover, the perspectives to earn money from your blog may be the huge motivation to develop and promote it. Start acting right now!